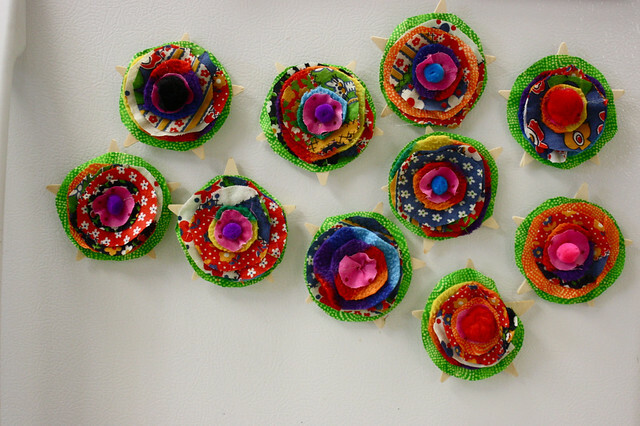 using roughly cut circles from my fabric stash, preschoolers chose 6 different sizes of circles. then we used some of these donated stars that already had pins and magnets on the back. 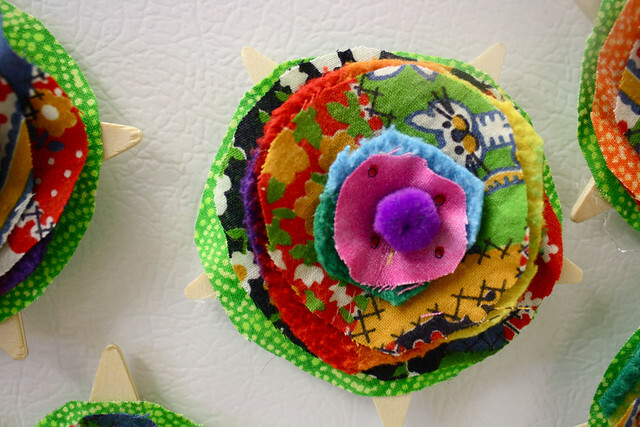 and with me asking for the biggest circle, then the next biggest, then the next biggest and hot glue between each circle, the mother’s day flower was made! the final touch was mama’s favorite colored pom pom. if i still had a preschooler, i’d wear it with pride. These are fabulous! They are so bright and bold! THey go with your site really well! Can’t wait to try them one day! 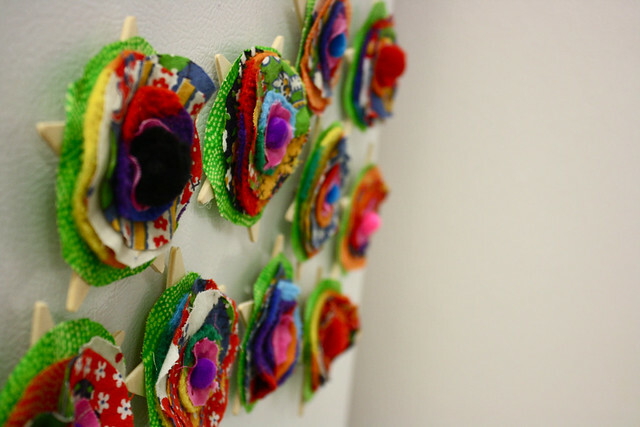 Thanks for sharing …my playgroup littlies will have fun making these alongside of their mummies I am sure. Gustav INSISTED that I open his gift this evening. Very cool! I WILL wear my flower with pride. I’m sure he enjoyed the time he got to spend with you on this project. Just found you through the Crafty Crow. 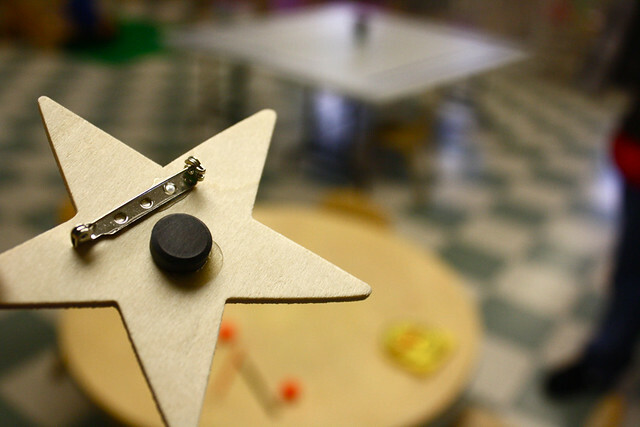 I was going to do this same thing tomorrow w/ my preschoolers- minus the star and magnet. But I love your idea to use the star and magnet! Great idea and I love the colors too! What about grandmothers? We’d wear the flower with pride too! Great idea and beautiful creations. well, i might just have to cut some more circles! and i had one little guy INSIST that he was giving one to his dad.